With an enviable history dating back to 1898, T.M. 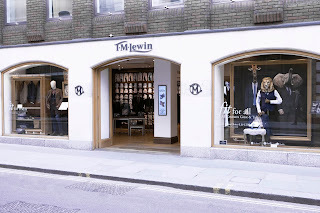 Lewin opened his first store here along the famous Jermyn Street with such innovative products as the coat shirt. 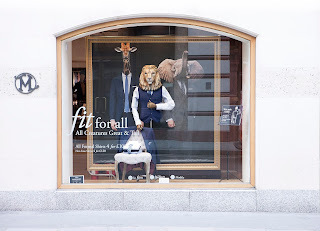 The brand has traded continuously ever since and now even has stores across Australia. 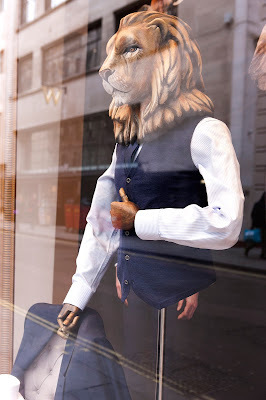 Its often so difficult to make this type of menswear look interesting (and yet masculine) however with beautiful bust forms with their dark wooden articulated arms / hands and with the addition of animal heads this brand demonstrates that they don't take themselves too seriously and that with a bit of tongue in cheek humour (often so missing on the high street) that you can have great quality products and make them just a bit more interesting too.